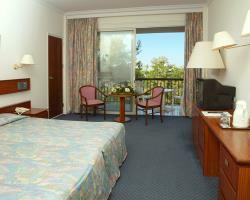 The Forest Park Hotel is one of the traditioanally well-know hotels in Cyprus. It is an imposing building standing in its delightful grounds in the fringe of the pine forest. The striking panoramas over mountain and sea are a never - failing pleasure to the eye. 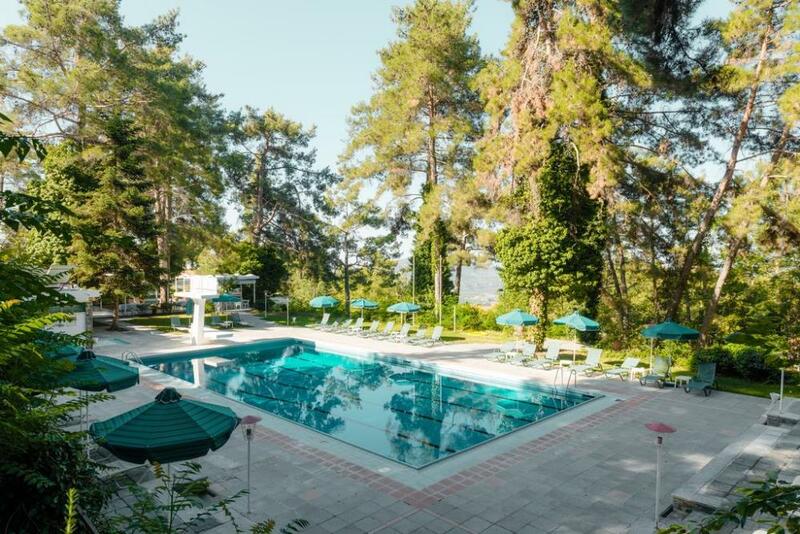 Deep in the heart of the Troodos yet only 35 minutes from the wonderful beaches and Mediterranean Sea. 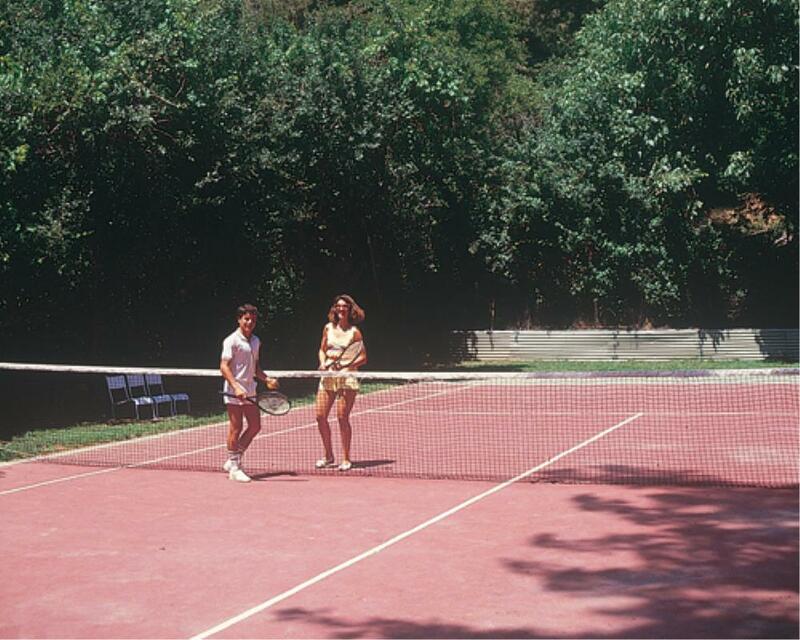 The hotel is shaped in two three-store buildings with 20-acres of private forest and gardens. It includes 137 rooms of which 117 are Standard rooms (97 Double, 14 Double bedded, 6 Single) 13 Superior rooms and 7 Chalet Suites. A fascinating variety of choices with local and international flavours of cooking enjoyments wait the guests in the restaurants and the bars of the hotel. All the Dinning activities in the Blue Restaurant feature local cuisine as well as International Cuisine and various theme nights. 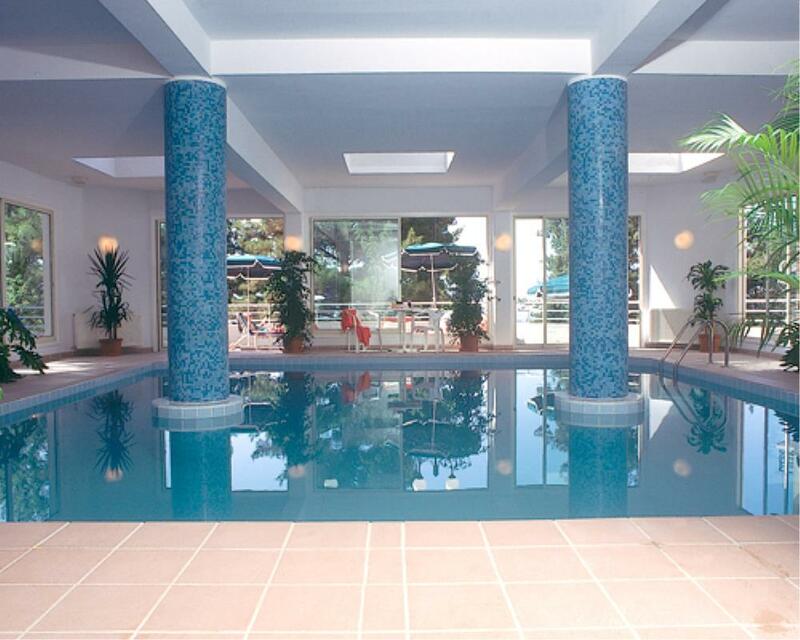 It is located on the ground floor and it is facing the external swimming-pool of the hotel and the pine trees. It is also famous for the international and Cyprus buffet that is made once a week as well as the Sunday Buffet lunch. The dinning can be accompanied by a vast selection of wines from international and local vineyards. The Blue Restaurant serves meals for vegetarians as well as for children. Dressing code: Smart casual. The total capacity is for 120 guests (with the addition of lounge Indira Ghandhi in place, it entertains another 100 persons). The Olympus Bar with typical Cyprus decoration is ready to please you day and night with its refreshing cocktails and boast for its Original Brandy - Sour Cocktail since in this Bar the first glass of this refreshing cocktail was prepared for King Farouk of Egypt, in the early 40's. It is situated on the Ground Floor, in front of the main entrance of the hotel and has a total capacity of 25 persons inside and 12 persons outside. Open from 10:00 to 23:30. In the Summer time the exterior Swimming Pool bar opens serving all types of snacks. The personnel are ready to serve you in the hot days of summer, while the nightingales lullaby during the night time. Hours of operation: 10:00 - 17:00. The La Terrace Cafeteria is the place where the hotel guests enjoy their breakfast in Summer. The well-known veranda of the Cafeteria with a view to the exterior swimming-pool is often used as a meeting point and for relaxation. It is situated in the ground floor next to the gardens with the pine trees. Apart from good quality alcoholic drinks it offers, it serves also afternoon tea with cake and biscuits as well as a big choice of hot or cold dishes and home made ice cream. It is open from the 7:00 am until the late hours with total capacity of 300 individuals. It is situated deep in the heart of the Troodos woodland, in Pano Platres thus offering excellent opportunities for long walks or relaxation. 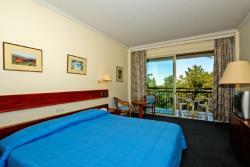 Pano Platres is the most renowned mountain summer resort of Cyprus. 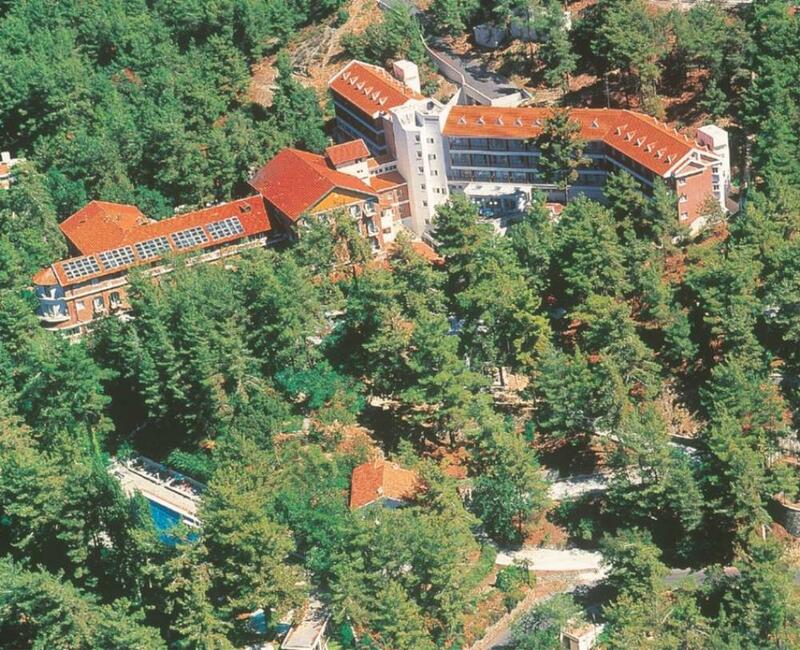 Situated on the southern slopes of Troodos only 40km from Limassol. Pano Platres is a very old village listed among the 119 villages that belonged to the Limassol district in the times of the Francs (1192 - 1489). Platres at 1200 metres above sea level amidst a forest of fragrant pines, in the heart of the Troodos Mountains, is Cyprus' most popular mountain resort. Looking down towards the southern coast of the island it provides a welcoming retreat from the busier coastal resorts and is an ideal base from which to explore the region. The village offers a variety of facilities including a number of tavernas, bars, restaurants, mini-markets & souvenir shops, banks, a post office, the areas' Tourism Organisation information office, and a disco. The visitors to Platres in addition to a relaxing, rejuvenating holiday come to enjoy a variety of pursuits such as walking, bicycling, bird watching, painting, wild flowers, geology, and visiting the Byzantine churches. In the winter months skiing in the nearby Troodos ski centre is available.